The trend of a band member breaking off to embark on their own solo endeavours has been one that’s become much more prevalent in recent years, especially with the advent of DIY production that makes the recording and distribution of music that much easier. It’s something that’s seeped into almost every branch of modern rock too, opening up opportunities for musicians to simply pick up an acoustic guitar to express themselves in ways that their main band mightn’t allow. Just look at Speak Low If You Speak Love for that, the project of State Champs bassist Ryan Scott Graham that takes the tone of nuanced, vulnerable indie-rock when compared to the pop-punk of his day job. What’s more, this is one project that’s moved beyond the humble acoustics of so many solo efforts, now fleshed out to include synths, horns and basically anything else that leads to a fuller experience. That certainly seems to be the goal on Nearsighted, and to an extent, Graham is able to capture that. This is, indeed, a more varied, matured listen than just another singer-songwriter project, flowing between acoustic-led indie, glistening synthwork and even hints of post-rock for that extra expanse. But at the same time, it’s also an album that can feel a little austere in how one-toned it is, never really straying from that core of vulnerability it establishes for itself to use its resources for something a little more exciting. That’s not to say that’s inherently a problem though, particularly because Graham proves himself to be a much more detailed, nuanced songwriter than his State Champs work would betray. There’s a lot of vulnerability here, with Graham opening up about relationship struggles that, with the layered, precise lyricism of tracks like Contrasting Colors and Circle Spinning, carry a lot more pathos than a stereotypical sadboy ballad. Even away from the direct struggles, there’s a lot to like about how much information colours Nearsighted‘s writing, like Graham’s refusal to acquiesce in the demands of someone who’s only going to hurt him on Safety Net, or the visions of someone killing themselves in a dream on Hatsuyume that has real resonance for him. Alongside Graham’s very willowy vocal approach which only further hones in on that insularity, Nearsighted is an easy album to become swept up in the sentiment of. But then again, some of that can feel a little dampened by the instrumentation, which proves to be more hit or miss than it ideally should. It’s easy to see what Graham is going for here as well, all warm, blurred-out tones to accentuate how much of a personal, expressive listen this is supposed to be, and when they’re used effectively, like with the sharp, prominent bassline on Enough or the choppier acoustic and horn lines on Your Love It Runs, that mood is suitably captured. But far too often, Nearsighted feels content to drop into hazier synth tones that run over everything else for that moody post-rock atmosphere that struggles to fully come into its own. With the dry, colourless wash of Ever Yours, it highlights how little of an effect this can have, and by replicating it on Cannot Have It All and top it off with an oddly lo-fi flute line on Hold Me Now, a good portion of this album starts to run together with little that leaves any impact and even less that can be remembered after any significant length of time. The unfortunate thing about Nearsighted is that so much of it just feels like wallpaper music, pleasant to have on in the background to tie an atmosphere together, but becomes increasingly tepid when placed under heavier scrutiny. And given how strong Graham’s storytelling and lyricism are here, that does a great disservice to what could have been a much more potent listen. And while Nearsighted isn’t precisely awful and there will definitely be an audience for this sort of thing, it doesn’t feel like something with a lot of staying power or replayability. Worth a spin or two then, but don’t expect to get much more mileage out of it. 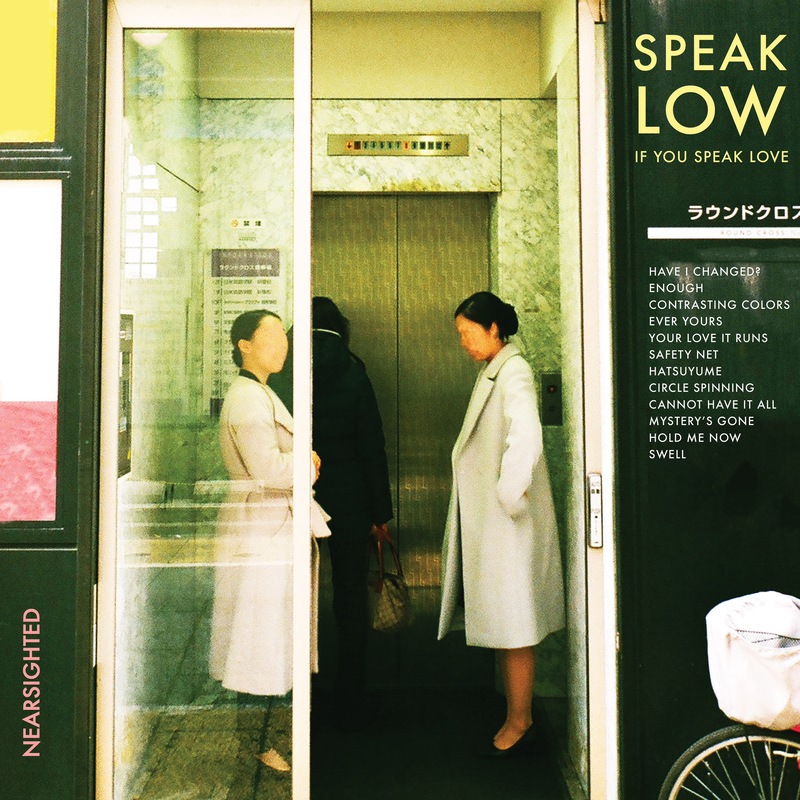 ‘Nearsighted’ by Speak Low If You Speak Love is out now on Pure Noise Records.